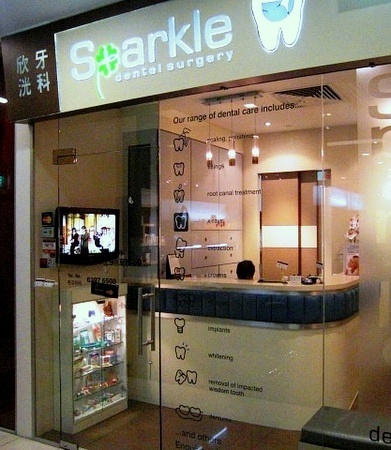 Dental clinic Sparkle Dental Surgery operates within Novena Square 2 shopping centre in Singapore, at 10 Sinaran Drive. Sparkle Dental Surgery provides high quality dental care to their customers in a friendly and comfortable environment. …as well as more complex dental work like gum treatment, crowns, bridges, implants, and minor oral surgeries. Overall, the dental health of their patients and infection control & cleanliness of the clinic, equipment and instruments within the clinic are the clinic’s top priorities. The dental clinic has a great location within Square 2 shopping mall, which is located at Novena MRT Station, in the heart of the busy Novena shopping and office hub. Besides Sparkle Dental Surgery clinic, Square 2 has more than 200 specialty shops and food outlets over 5 floors (Basement to Level 4) to choose from.